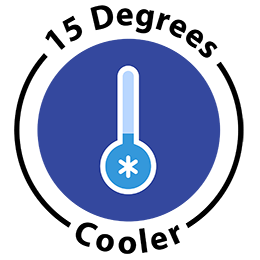 Keeps you 15 Degrees Cooler! We are also now including our Super Secure Metal Sand Anchor. 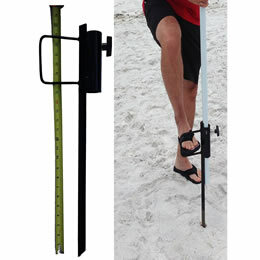 It can be used to safely and securely anchor your umbrella in the sand or dirt. but you couldn't be further from the truth! Upon close inspection, you will see this umbrella is like non-other. 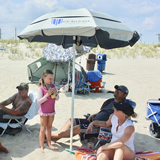 In fact, UV-Blocker Beach Umbrella is Superior to any umbrella you have seen before. 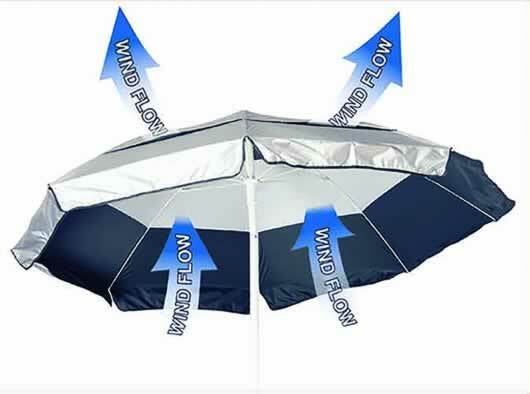 #1 Patented Vented Mesh System lets the wind pass between the upper and lower canopies. Making this beach umbrella very stable in high winds, thus preventing inversion and making this the world's first windproof umbrella. Safety is your number one priority when it comes to you and your loved ones. 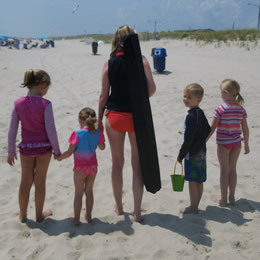 Our large UV Beach Umbrella protects your family from the damaging UV Rays that go right through cheaper imitation umbrellas. 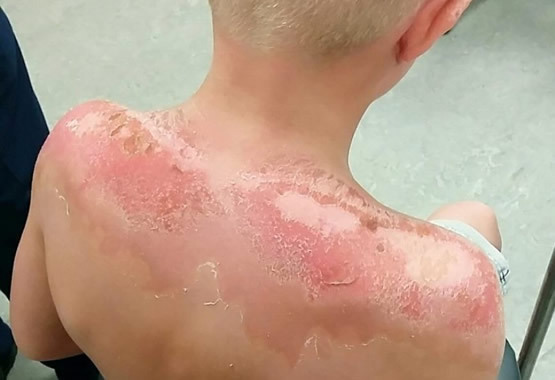 Ours offer real protection of up to (UPF 55+) without having to use chemicals in sunscreen that are potentially harmful to your children and the environment. 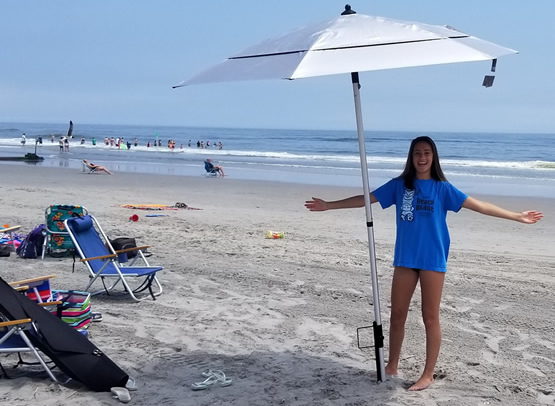 The UV-Blocker Beach umbrella is lightweight and can easily be carried over your shoulder to the beach with our durable carrying case with adjustable strap. We have increased the strength and durability of the fiberglass ribs while maintaining our #1 Patented Vented Mesh System. We provide you with everything you need. 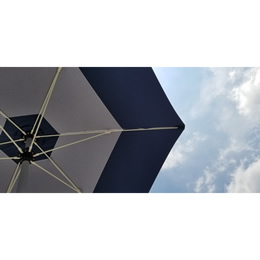 When you order our Large UV- Blocker Beach Umbrella you also get our convenient lightweight hands' free carrying case with has an adjustable strap to comfortably fit your shoulder. 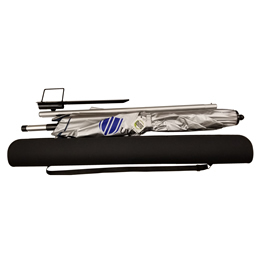 It can be used to safely and securely anchor your umbrella in the sand or dirt. No more embarrassment of chasing a run-away umbrella on a windy day. Don't get burned by cheap imitations. 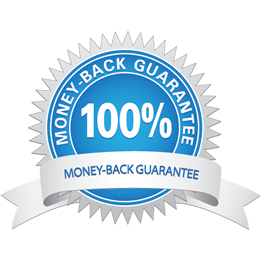 You can't lose with our 100%, ironclad, money back guarantee! 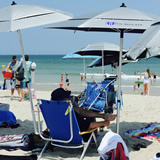 If the UV-Blocker UV Protection Large Beach Umbrella is not the best sun protection umbrella you ever owned, simply return within 30 days and receive a full refund. Just a few of our of happy UV-Blocker customers. 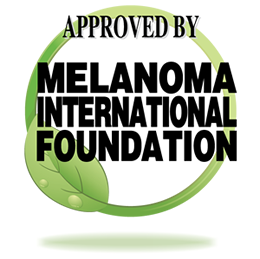 UV-Blocker has received 1,000's of reviews with an average rating of 4.7 out of 5 stars! THE BEST MONEY CAN BUY! I have owned a few of these umbrellas and use them weekly at the beach. They will not collapse on you in heavy winds and are made very well. They will last you at least 3 seasons depending on use. I would not buy any other umbrella! OMG! What a good looking umbrella. The umbrella stand is large and holds up to the windy days on Pensacola beach. The company is great! Purchase this product. Hope you enjoy your umbrella. 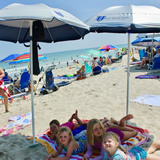 We really like our UV-Blocker beach umbrella. I like knowing that when at the beach, we're both under an umbrella that provides protection from harmful sun rays. 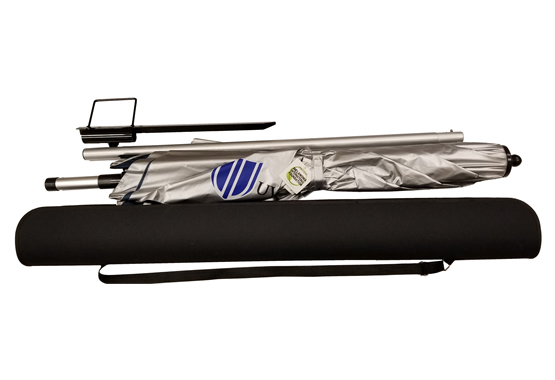 This umbrella is perfect for blocking the sun's damaging rays. For anyone wanting to stay out of the sun or who has extremely sensitive skin this umbrella is a must own item. A good product blocks UV radiation. Nice relief from sun and good overall coverage. Customer service is excellent (5 star). I think this umbrella is great. Easy to set up, withstood the wind and was much cooler sitting underneath it. I would recommend it!